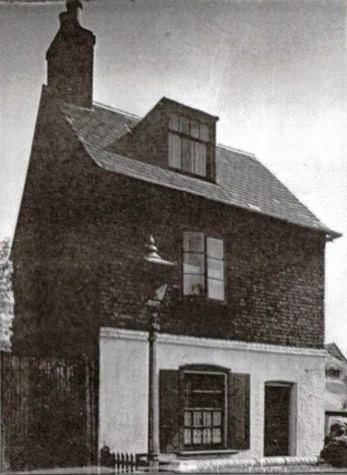 The photo shows a two storey detached brick building next to an entry. The property has a small front garden with a side gate into it. The photo is described as 'Boars Head Yard' in the National Monument Record and the tithe and later maps show a building on the eastern side about half way along that fits the bill: 10 Boars Head Yard.